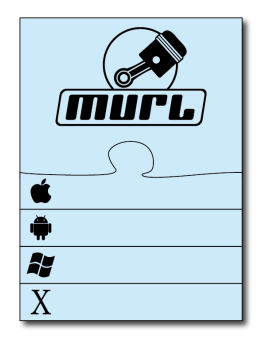 The Murl Engine™ is a tool for multi-platform development of games and multimedia-rich applications, designed for maximum performance and flexibility. It allows development of cutting-edge products without limiting developers and designers in their creativity, allowing them to implement new and innovative concepts. Further information can be found on the website murlengine.com! Develop your product once and deploy it to multiple platforms. The framework is supporting all important platforms and operating systems. A native application can be generated in a way as simple as pressing a button. The source code can be maintained in a single code base, therefore making development easier and reducing maintenance effort. Benefit from the highly optimized graphic engine and develop native apps of highest quality. The development of native apps using C/C++ guarantees a highly efficient development with good abstraction possibilities and optimized performance. The scene graph based graphic engine is supporting all important native graphic libraries and can be used for 2D as well as for 3D applications. A benchmark result in comparison with a popular graphic engine gave a better performance rating of up to 500%. Create whatever you want and decide yourself how deep you want to dig into the framework. In contrast to existing monolithic black-box game engines, the framework allows development within every abstraction layer. Most parts of the framework are available together with source code. Therefore it is easy to customize the code or to create additional features. Common engine code for all platforms developed in C/C++. Individual platform code for each platform developed in C/C++, Java and ObjC. Shorten your development cycles and increase the quality of your products. The framework implements a lot of highly optimized functions and algorithms that can be directly used by the developer. This is shortening the development cycles and enables the developer to create prototypes in a matter of seconds. 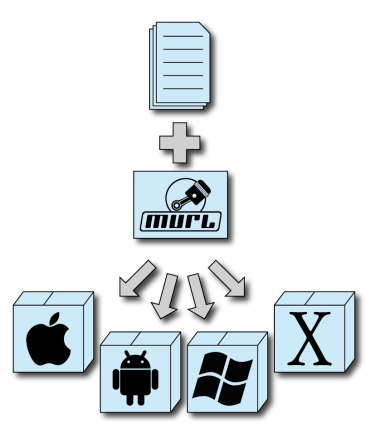 The Murl Engine is the first choice for developing multimedia applications, no matter if for smartphones, media tablets or PCs. Android is a trademark of Google Inc. Apple, iPod touch, iPhone, iPad, Mac, Mac OS and OS X are trademarks of Apple Inc., registered in the U.S. and other countries. IOS is a trademark or registered trademark of Cisco in the U.S. and other countries and is used under license by Apple. Microsoft, Windows and DirectX are trademarks of Microsoft Corporation. 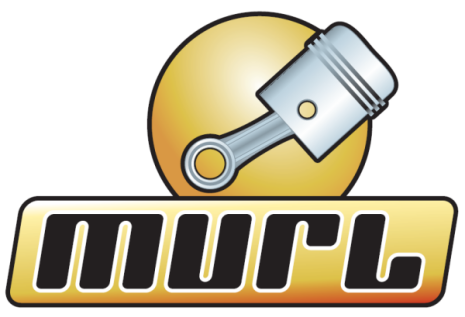 OpenGL is a registered trademark of Silicon Graphics, Inc. Murl Eengine™ is a trademark of Spraylight GmbH.